Whether water is plentiful or scarce where your new log home is located, water shortages may be making news in the coming years. One of the biggest water wasters in any home is the household toilet. If you are in an area where water shortages are frequent, or even if you are simply relying on a private well for your water, the new dual flush toilets can make some sense. Dual flush toilets have had widespread use, first in Australia where limited water supplies and droughts have been a normal feature of daily life there for many years. For the uninitiated, a dual flush toilet processes waste in two ways. The user selects the amount of water to be used for flushing. A typical standard flush toilet uses about 5 gallons of water each time the handle is pressed. Modern dual flush toilets use less than a gallon for liquid waste disposal and about 1.6 gallons for solid waste removal. 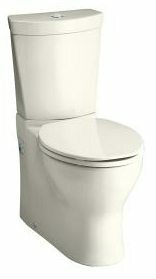 The U.S. Environmental Protection Agency has provides a rating system for high-efficiency toilets called Water Sense. Not only can a Water Sense toilet reduce water use, but if your water comes from a public utility, the cost savings can be dramatic. Kohler is one manufacturer that has embraced dual flush and high efficiency in its toilet designs. They also have a helpful webpage to identify if any WaterSense toilet rebates are available in your area. Kohler’s Persuade line of toilets offers dual flush options and a clean contemporary look in white and six fashion colors. 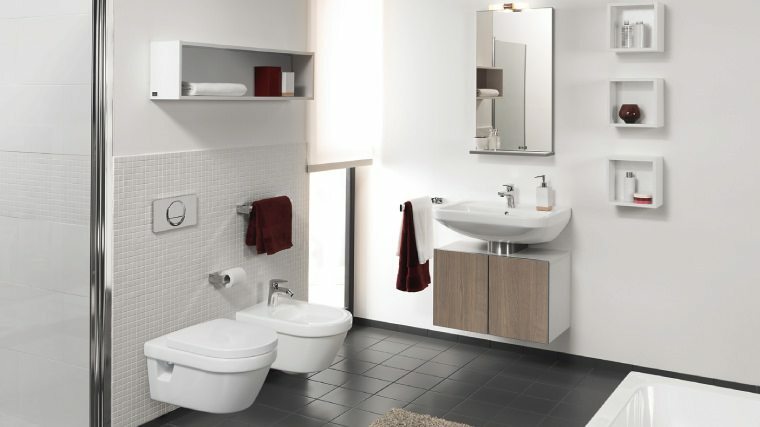 Other manufacturers offer a wide array of options for dual flush toilets, beginning with the sublime from china manufacturer, Villeroy & Boch, to the purely functional. A complete listing of all Water Sense toilets is available on the EPA website.